individuals and organizations achieve their highest potential and the outcomes they seek by providing training, development, and coaching services. Coaching Helps People Reach Their Peak Potential. Karen McGee, RN, MBA, Principal of Strategic Development Initiatives, LLC and executive coach, is a graduate of the Newfield Network Certified Coach Training Program. She is a member of the International Coach Federation and served on the board for the local chapter. She has also served on the board for the International Consortium for Coaching in Organizations and currently serves as President-elect and VP of Programs for Boulder Business and Professional Women. Prior to becoming an executive coach, Karen spent more than 20 years creating and leading sales teams in biopharmaceutical organizations in varying stages of development and ranging in size from under 100 employees to over 50,000. During her tenure in the corporate setting she worked with individuals and sales teams at all levels of development, leading through difficult circumstances and turbulent organizational change including mergers, reorganizations, and rapid growth while still delivering outstanding sales results. Coaching and developing leaders was an integral part of her corporate experience and she remains committed to helping them establish a culture of individual and team leadership in a trust based environment so each member of the team is thriving, fully engaged, and working collaboratively with others to achieve individual and organizational results that far exceed expectations. She is skilled in leadership & personnel development, performance management, conflict resolution, training & facilitation as well as a broad array of communication skills. W orking with Karen really helped direct me to find my way. She didn’t counsel me, or tell me right from wrong, but through various exercises and lots of listening, she guided me to reach within and learn more about me. I met Karen when I was at a point in life that I felt lost and confused with my career and relationships. After our sessions, I left feeling alive and driven to accomplish the next best thing for myself. Since meeting Karen, I have found a new direction in my career, taken initiative in having difficult conversations with co-workers or family members, and discovered more confidence in my direction in life! Thanks Karen, I really appreciate all your support! — Kendra S.
After suffering much loss over the past few years and losing my sense of direction for my life, I was able to see clearly the passion and purpose for my life with Karen’s help. Her guidance using ontology [ontological coaching] helped me approach various challenges from a different perspective and continues to empower and elevate my being to a healthier space. I will seek Karen’s expertise and experience every time the need beckons. Saved from myself. — Dorothy R.
I highly recommend Karen as a coach. She is supportive, loving and kind. Her skill at noticing parts of me that want a voice has been a tremendous help to me. With her help, I have been able to open up and take opportunities in my life that I did not know were possible. I would recommend Karen to anyone who would like to have support while facilitating sustainable change. 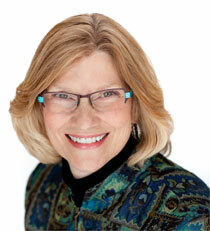 –Beth S.
Karen helped me explore new possibilities and ways to see the situations I was facing. Through her coaching, I learned more about myself and about how to deal with some tough career decisions. I was able to change my perspective and open up some new avenues of thinking and acting. –Jennifer H.